Pretty On The Outside: Yes............he's straight!? 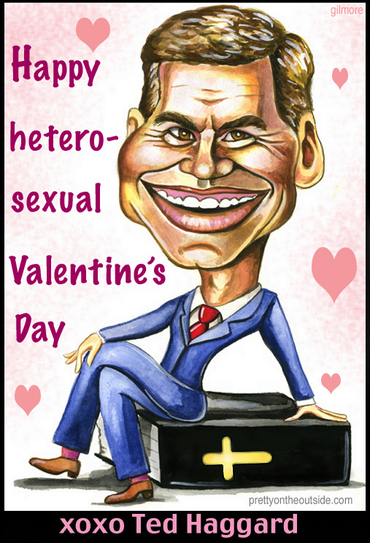 Congratulations Ted Haggard, you're still in the running towards becoming America's Next Top Heterosexual. Praise be! This was painted with watercolor and gouache on hot press paper. Photoshopped hearts and text. I've always been anti-Valentine cards up until now.